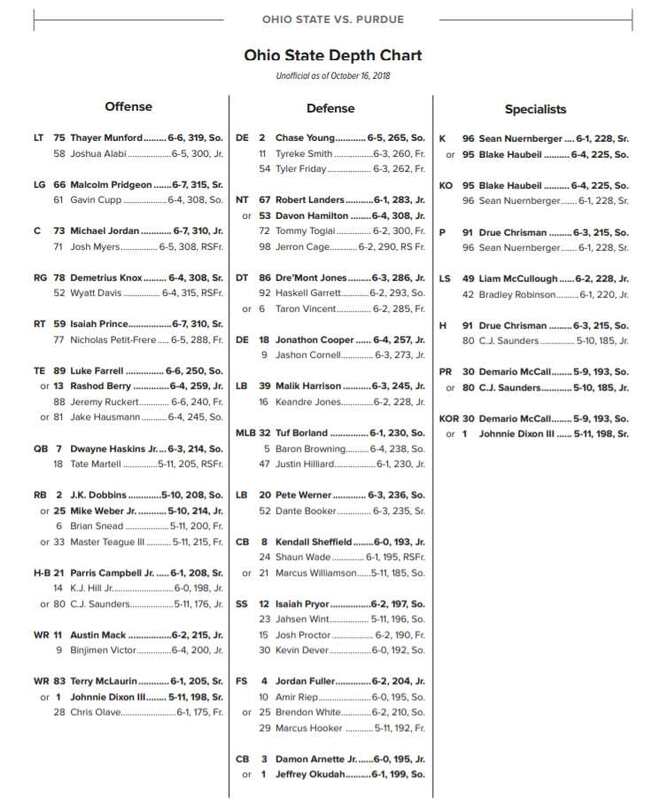 Tuesday evening, the Ohio State football team held its first practice leading up to the Big Ten Championship Game. After practice, the Buckeyes met with the media to preview this weekend’s big game. As always, there was a lot to talk about. While the team has turned the page to Northwestern, there was still some chat about the 62-39 drubbing of Michigan. But the Bucks have their eyes on their next goal: winning the Big Ten for the second straight season. That would guarantee them at least a berth in the Rose Bowl, and could keep them alive for a shot at the College Football Playoff. 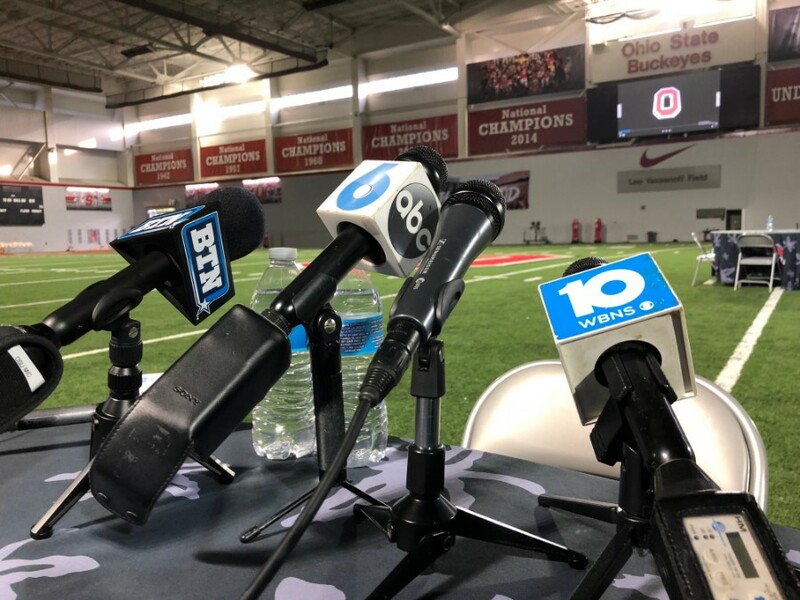 OSU assistants Greg Schiano and Ryan Day were expected to meet with the media, along with Buckeyes Jordan Fuller, Pete Werner, Davon Hamilton, Jonathon Cooper, Dwayne Haskins, K.J. Hill, Isaiah Prince, and Michael Jordan. You can watch those interviews below in their entirety once they start. The players were scheduled to arrive around 6:15 pm.